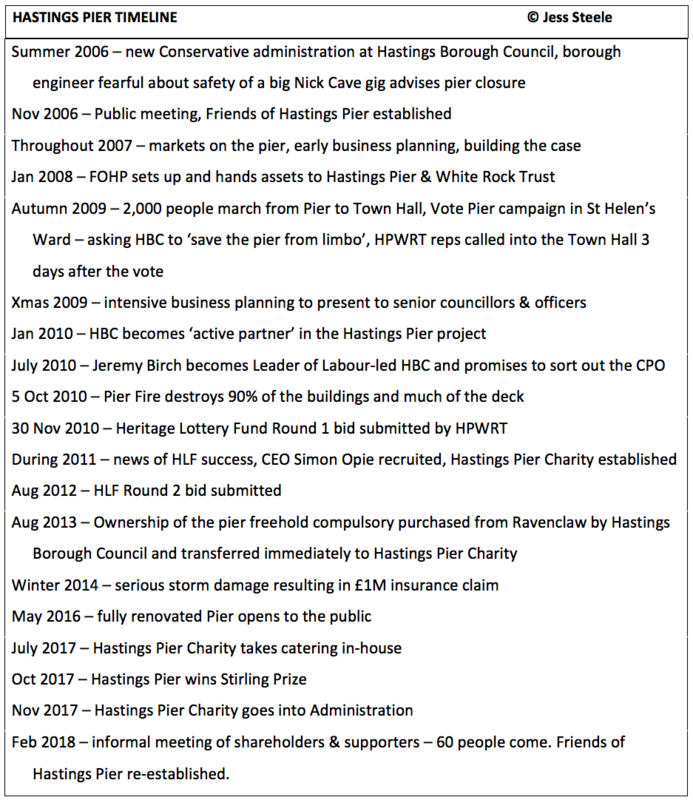 This entry was posted in Hastings, Hastings Pier, JRS website, Piers, Seaside. Bookmark the permalink. 2 Responses to Friends Again! It may be pointless, but I think we need to have the Council involved in the future of the pier as they are our local representatives, whatever I may think of their behaviour. To maximise the opportunity for the pier it needs to be easier for people to get there and to park when they do. I am convinced at the pier needs a park and ride system that also picks up and drops from our two main stations and the Old Town. We also need more convenient parking in town. Preferably a multi-storey that would allow one to consider the eyesore that is the carpark in front of Pelham Crescent. Look how beautiful Cannes is. In Cannes we would have a beautiful garden there, not a carpark that seems to have been designed to look super ugly as well. And Cannes is right on the sea and is equipped with underground carparks right at the edge of the sea as well as 4 major multi-storey carparks within very close proximity of the front. We do not want people to come and visit the pier we want people to visit Hastings with its wonderful pier and other facilities. We want to big up the Hastings brand. Thus we also need to consider the branding of the pier. ‘Hastings Pier’ is too limp it needs to have a name… ‘Big H’ type name – ie: a snappy, memorable name that easily links directly to Hastings. So the pier needs to be integrated into a structure plan that supports a brand development strategy that is directed at bringing, success, wealth, investment and increased happiness to Hastings. Well said… We cannot lose this great people’s achievement.